Rebekka Hartmann was born in Munich in 1981. At the age of 5 she started playing the violin with the Suzuki-pedagogue Helge Thelen. She studied in Munich with Prof. Andreas Reiner and in Los Angeles with Prof. Alice Schoenfeld. After attending international master classes for example with Rainer Kussmaul and in cooperation with Josef Kröner she gained impetus and developed her skills. 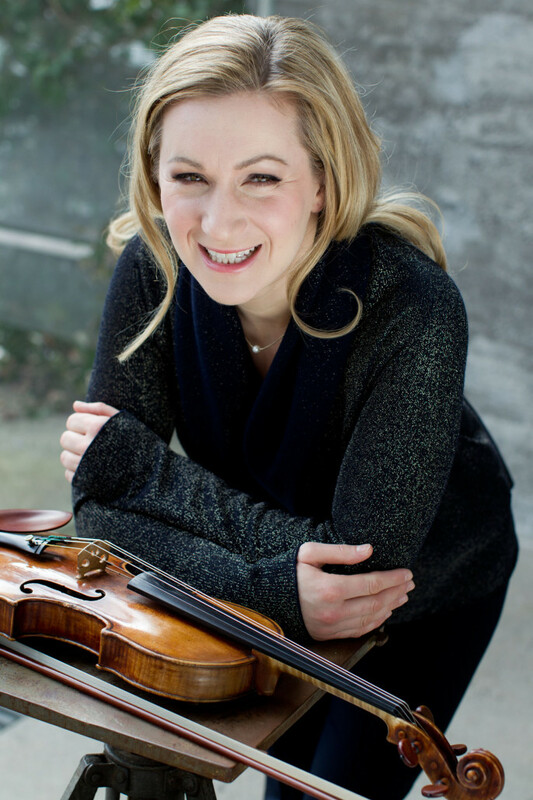 Rebekka Hartmann is the winner of several national and international awards, for example the International Henri Marteau Violin Competition in Lichtenberg (2005), the international music contest „Pacem in Terris“, Bayreuth (2004) and the „Jascha Heifetz Scholarship“, USA (2002). Her solo performances take place in diverse countries and continents such as Switzerland, Great Britain, Austria, Asia and the US. She also plays at renowned festivals like the Schleswig-Holstein Music Festival and the Weilburger Schlosskonzerte. The violinist enchants her audience and musical publications with her performances with famous orchestras like the Bamberg Symphony Orchestra, the Aachen Symphony Orchestra, the Württemberg Chamber Orchestra Heilbronn and the German Chamber Orchestra. She is often seen in collaboration with the Orchestra of the Klangverwaltung/Munich and performs Solo- and Duo-recitals. Her repertoire comprises the complete spectrum of violin literature from early Baroque to contemporary music and new compositions, of which she has also performed some first recordings and world premieres like works for solo violin by Håkan Larsson and Anders Eliasson. In 2006 the Munich Label “Farao Classics” released her debut CD containing solo works by Johann Sebastian Bach, Paul Hindemith and Bernd Alois Zimmermann. In 2012 Rebekka Hartmann was awarded the ECHO Classic-Prize in the category „Best solo recording of the year” for her CD „Birth of the Violin“(2011, Solo Musica). The Baroque works of German, Italian and French composers are, except for a few tracks, world premier recordings. Another CD recording was released in May 2015 by Musiques Suisses in cooperation with Schweizer Radio. It includes the complete works of Paul Juon for the exceptional instrumentation of two violins and piano. Her latest CD, consisting of violin concertos by G.Tartini, J.Haydn and F.Mendelssohn-Bartholdy with the Salzburg Chamber Soloists conducted by Lavard Skou Larsen, will be released by Solo Musica in September 2018.